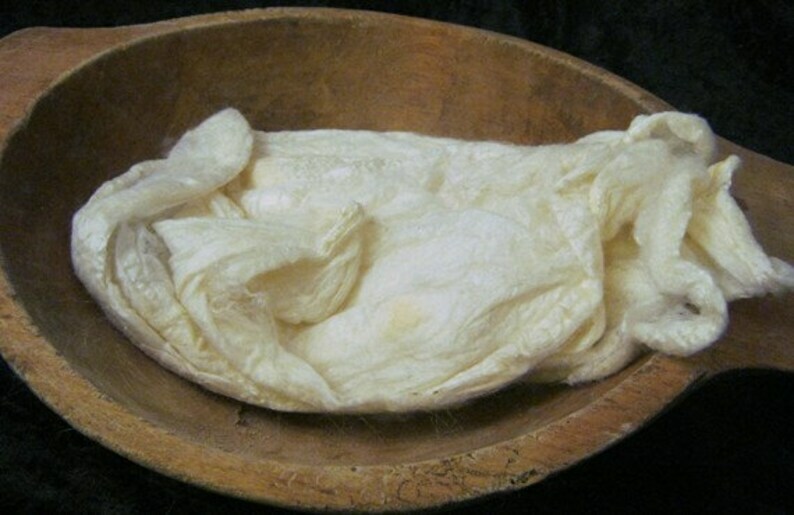 1 ounce of silk hankies. Silk hankies are just plain fun. They can be stretched and either spun or even knitted. Like other silks it takes dye brilliantly. Available in 1 ounce bundles.